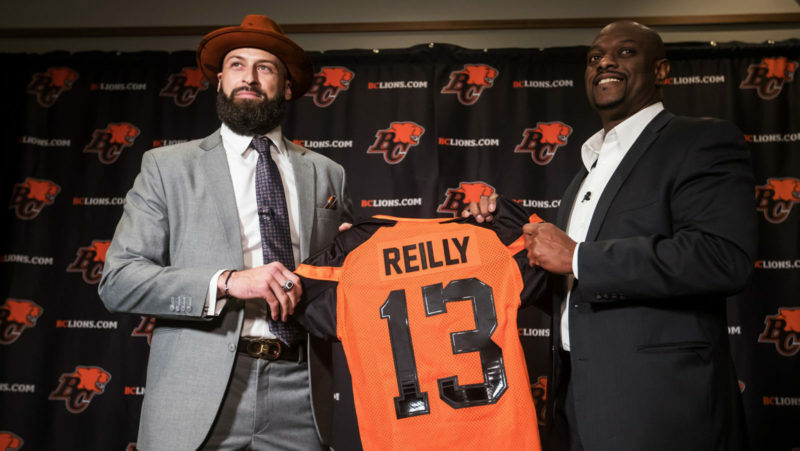 What began with a surreal phone call from his boyhood idol Geroy Simon informing him the BC Lions had selected him third overall in the 2018 draft, ended as a roller coaster rookie season for Peter Godber. 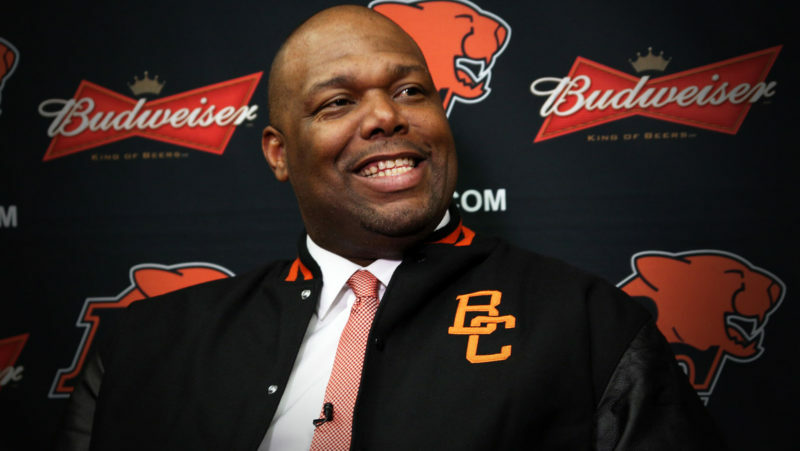 Like many raw Canadian offensive linemen, he had to wait for his first opportunity to start. It wasn’t until a September 14th visit to Montreal- after veteran centre Cody Husband suffered a broken leg the previous week- when the product of Rice University was pressed into duty. It all came crashing down two weeks later when Godber fractured his foot in Hamilton, ultimately putting an end to his first professional campaign. As he continues to rehab in Houston, Texas, Godber remains cautiously optimistic he will be ready for day one of training camp on May 18th in Kamloops. “At the time (of surgery) I was told it was a six-month process. I’m now at about three-and-a-half months so still not where I want to be,” he said. 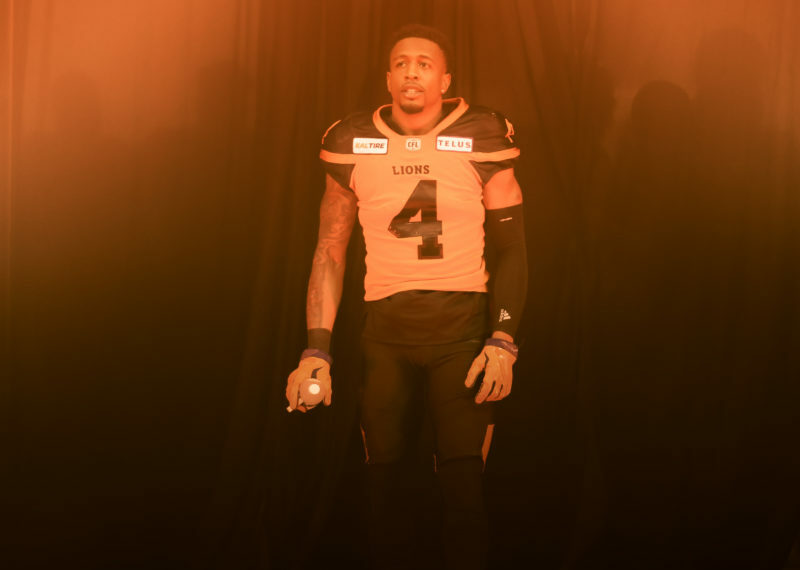 It couldn’t have been easy to work as hard as he did only to have it come crashing down after family and friends made the drive down the QEW from Toronto to see him play. Yet when he reflects on his entire rookie journey, the hulking lineman is grateful he got the chance to show his stuff, even if it was a short-lived adventure. “Obviously it didn’t happen for me right away, but when my opportunity came I just ran with it,” Godber said. 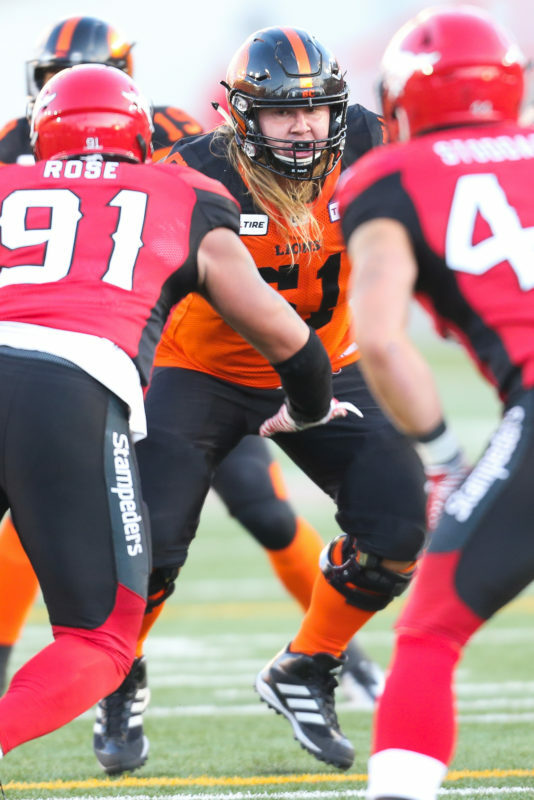 Peter Godber during pre-season action at Calgary’s McMahon Stadium on June 1st/2018. Photo: Kyle Clapham. And year two will involve another pro football lifer leading the position group. Bryan Chiu brings both local ties and playing experience to his new role as Lions’ offensive line coach. With a new coach comes even more pressure to perform well, which can never be a bad thing. “I’ve talked with coach Chiu on the phone a few times. Not only was he a great centre in this league, but he was also a winner for a very long time,” Godber stated. 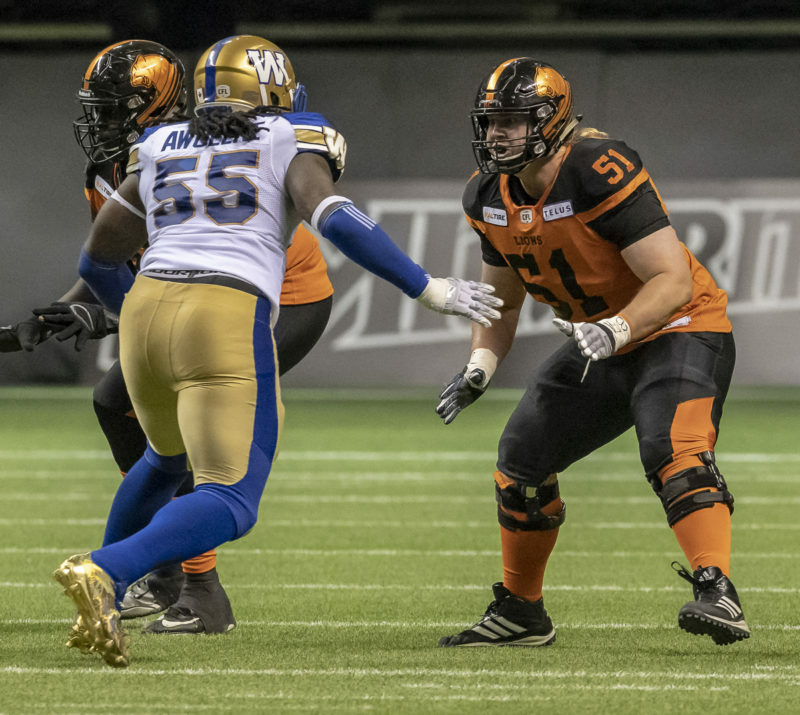 For now, the prime focus remains on daily sessions at Athlete Training and Health where Godber’s daily workouts are done with NFL defensive linemen Tank Carradine and Daniel Ross, a one-time member of both the Edmonton Eskimos and Saskatchewan Roughriders. Being around fellow pros can do nothing but good for the entire process. “It’s fun to be around guys like that in a competitive setting working out. It’s about taking it day by day and doing what I’m asked on a specific day,” he said. And despite the fact he proved he can hold his own in nearly three games as a starter in this league, Godber knows full well he needs to approach training camp like he’s still a rookie. That’s especially true when you factor in the nearly 100 per cent revamped coaching staff on offence. It all starts with inching toward that clean bill of health before veterans report.